Still no house. And we’ve now officially eliminated Midland from our list of possible towns to buy in. In other real estate news, there are no houses in Elmvale — the one location we agree on — that we both love. Ugh. And that’s just the list I compiled these last two weeks. I feel like I’ve more everyday pleasures to discover. 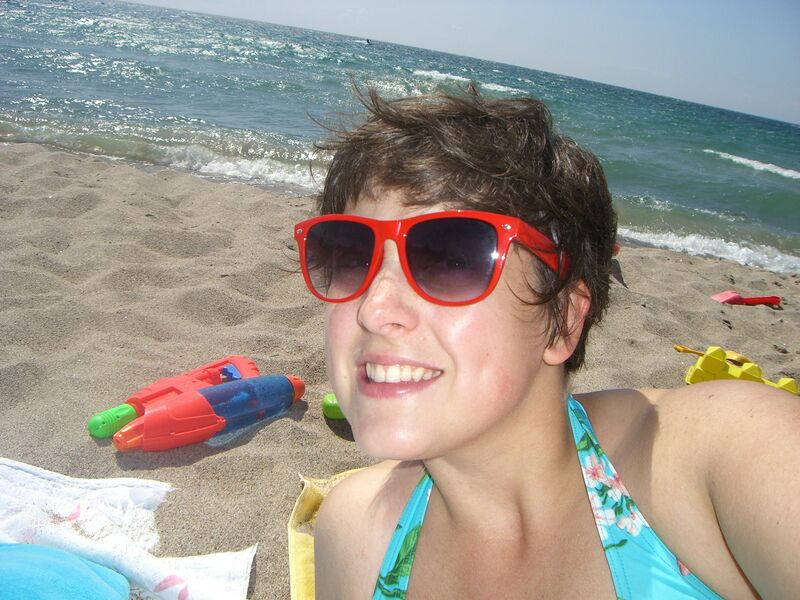 This is me at the 9th concession beach two years ago. I hope to do a lot of this next month. Much as I want an income, miss my old colleagues and crave routine, this whole no job thing isn’t so bad. You should try it sometime. This entry was posted in Employment, House, Job Hunting, Lifestyle and tagged house, silver linings, Unemployment by Mikaela Lefaive. Bookmark the permalink. Funemployment is THE best! Enjoy every minute! Let’s retire early :)…really early!!! I love romance novels and would gladly edit (not saying I’m any good at it :D)! Enjoy having the time to do the things you WANT to do as opposed to the things you HAVE to do! It’s such a delicious luxury.